Facebook is the top social media site and the best way to stay connected with your friends and family staying around the world. But lately, Facebook is being bombarded by the app notifications and game requests. 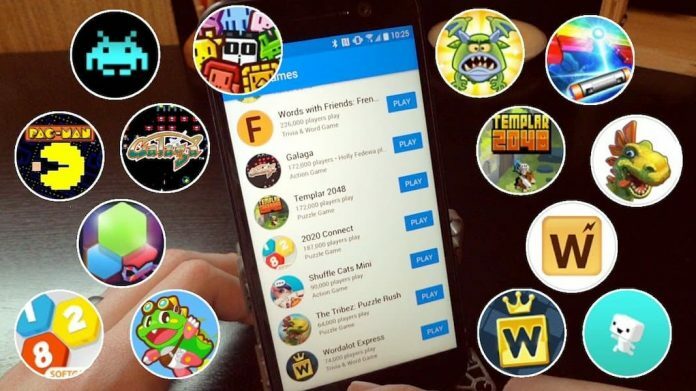 We can accept the fact there are some Facebook users who like to play the games on Facebook but most of the users are annoyed with the Game request on facebook. If you see too many “invited you to try” notifications on Facebook and wanted to stop that then maybe you should consider turning off your ability to use Facebook apps, games and websites permanently. Keep in mind that this drastic step will also prevent you from using Facebook to sign in or up on third party websites that are offering Facebook users the option to authorize using their Facebook login credentials. How to Turn Off Apps on Facebook? Open the Facebook website and log in to your account. Click on the down arrow icon next to the Home link in the top bar and select Privacy Settings from the context menu. Locate Ads, Apps and Websites and click on Edit Settings next to it. You should now see the Apps you use listing at the top. 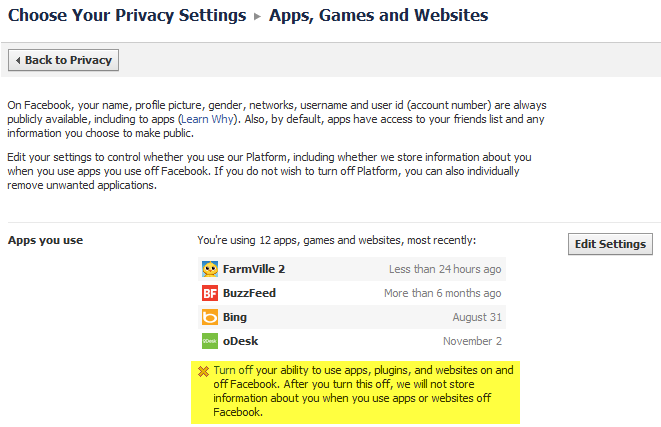 As you can see the message “Turn off your ability to use apps, plugins and websites on and off Facebook. After you turn this off, we will not store information about you when you use apps or websites off Facebook”. If you click on Turn Off Platform, you can’t use the Facebook integration on third-party apps or websites. If you want to use these apps and websites with Facebook, turn Platform back on. You will not be able to log into websites or applications using Facebook. Your friends won’t be able to interact and share with you using apps and websites. A click on Turn Off Platform could turn it off on Facebook. If you want to enable the feature again then you can easily do it by following the same process.